While rugby has proven to have less concussions than football, due to safer tackling techniques, we understand that it is still a risk. With growing concerns around contact-sports, and the connections between concussions and CTE, Raleigh Rugby has taken the initiative to better protect all of our players with concussion testing and a return-to-play program provided by our sponsor, Raleigh Orthopaedic. The Impact Test is the gold standard of baseline concussion testing. Once the test is completed, the results are stored online and any doctor or neurologist who uses the Impact Test can review the results and use it as insight on return to play. The test cannot be taken after a concussion has been sustained. In order to schedule a test, please call Raleigh Orthopaedic at 919-876-1100 and set up an appointment at the Raleigh Orthopaedic Performance Center in North Raleigh. 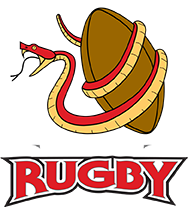 For Raleigh Rugby members, the test cost $20 (cash; insurance not accepted), and takes about 30-45 minutes to complete. If your player sustains a concussion, Raleigh Rugby will require doctor approval to return to play. Raleigh Orthopaedic does not require a Baseline Test for Concussion evaluation or their Return-to-Play program which follows the Gfeller-Waller/NCHSAA Concussion Management protocol. This includes a five step program which starts players off with a light workout and progresses in intensity with every workout while incorporating sport specific training to ensure a player is physically ready to return to play. For Raleigh Rugby members, the Return-To-Play program cost $50 (cash; insurance not accepted). This can be scheduled by calling Raleigh Orthopaedic at 919-876-1100.